It’s August! Really? But that means it’s time to run through the highlights of my July running. 1. I ran 101.1 miles. My four 10-milers definitely contributed to this total. And, when I saw I was getting close to 100, I made sure that I’d reach the 100-mile milestone for the month with my runs. 2. 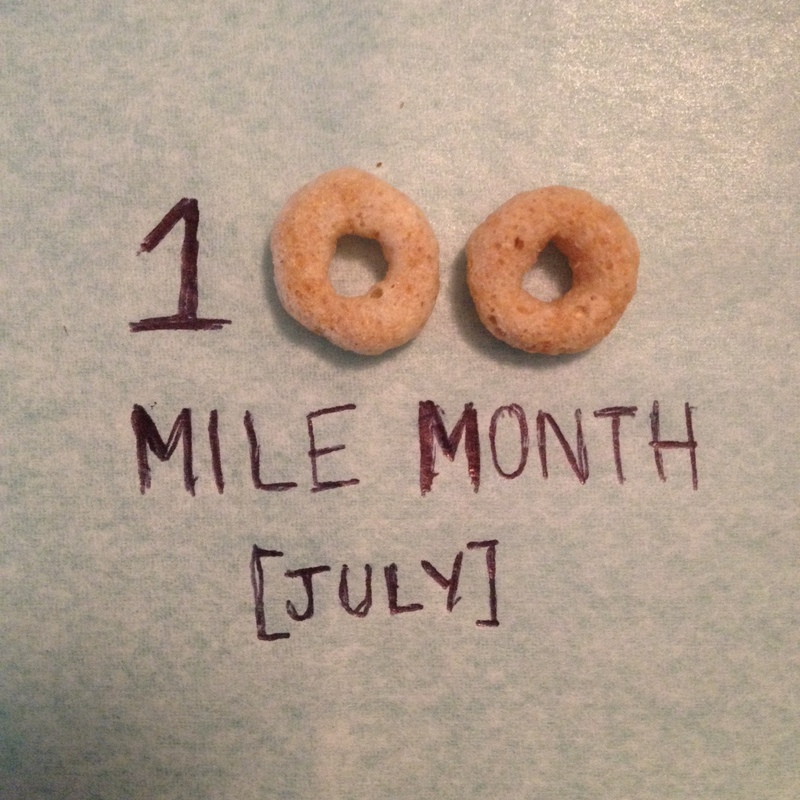 This was the second month of the year I made it to 100 miles. The only other month I made it to 100 so far — and that month was well over 100 — was March. 4. I made it to the halfway point of my 1,200-mile goal for 2015. Read about that here. 5. I participated in two track meets. I ran the 1600-meter race at each one. Read about No. 1 here and No 2. here. 6. I ran in one road race. It was the Great Wyoming Buffalo Stampede — check out my post here. 7. I have been through some extremely hot and humid runs. As any other runner from this area can attest to, it’s been very hot — it is July, after all. A few slightly less humid days have been nice, when they happen.